Special delivery! 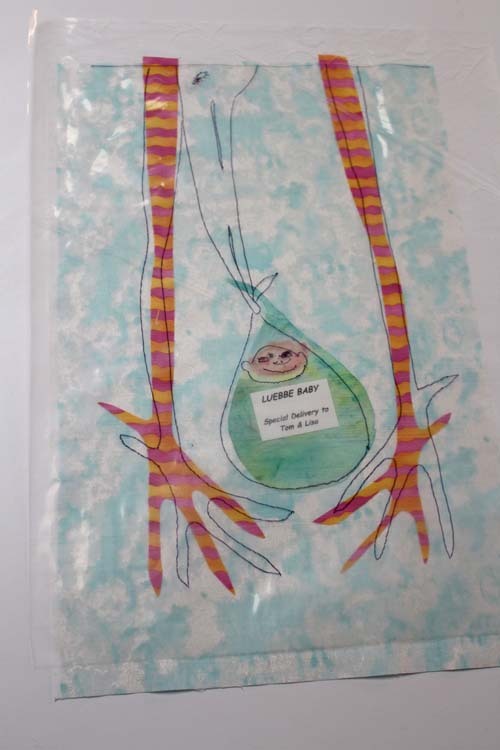 Celebrate the arrival of a little bundle of joy with this adorable wall hanging. 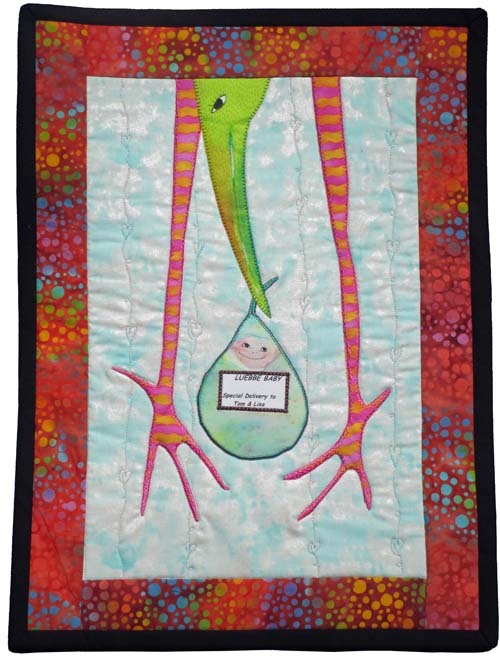 It combines the traditional stork motif with modern techniques like machine appliqué using decorative stitches, and makes the perfect present for new parents. Plus, you get to play with your fancy stitches while helping to create the first memories when the gentle storks makes that very special delivery. Tape the stork legs to the stork feet. Step 1) Make the stork head. 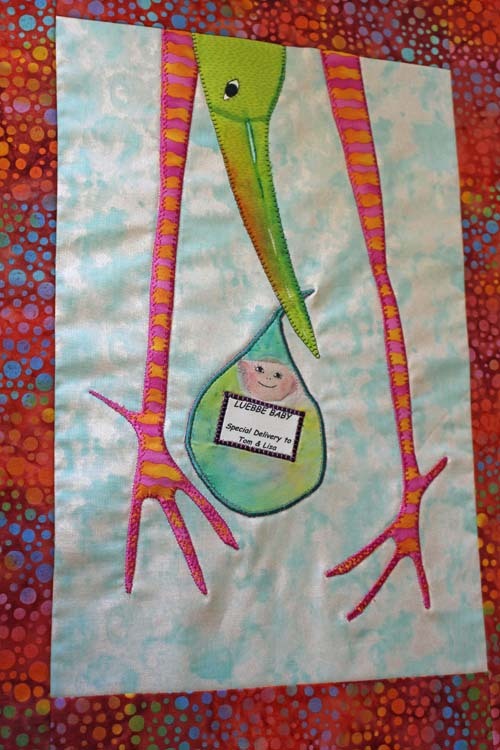 Trace the stork face onto your applique fabric. 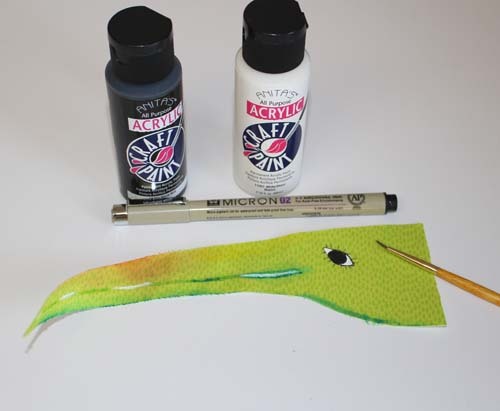 Paint the stork’s eye and “lips” with acrylic paints. Shade the beak with Derwent Inktense pencils and some water. Scroll down to Step 4 for a close up of the beak. 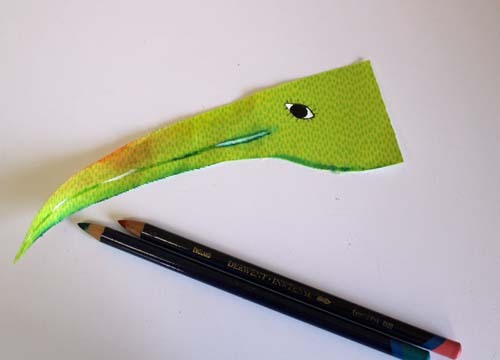 Tip: Click HERE to watch the Dewent video Using Inktense Pencils on Fabric. Step 2) Make the baby bundle. 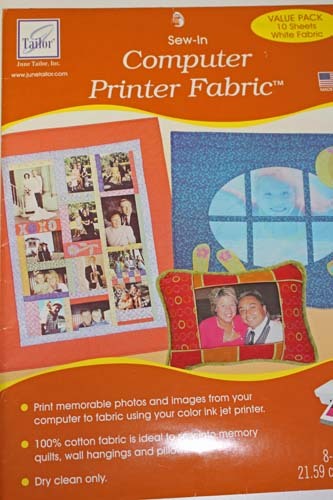 Print your message on computer-printable fabric, leaving enough space around the outside to accommodate the baby bundle applique shape. 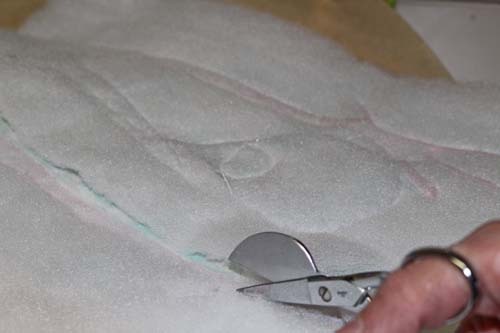 Trace the pattern piece onto the fabric and draw the baby’s face. Using Derwent Inktense pencils, color in the baby. 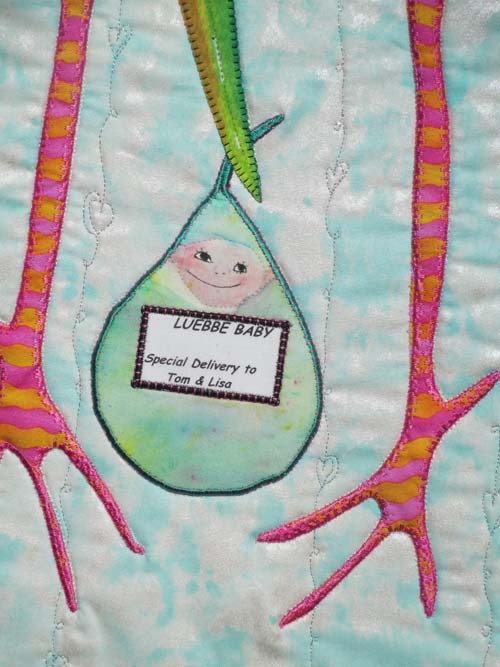 Scroll down to Step 4 for a close-up of the baby bundle. 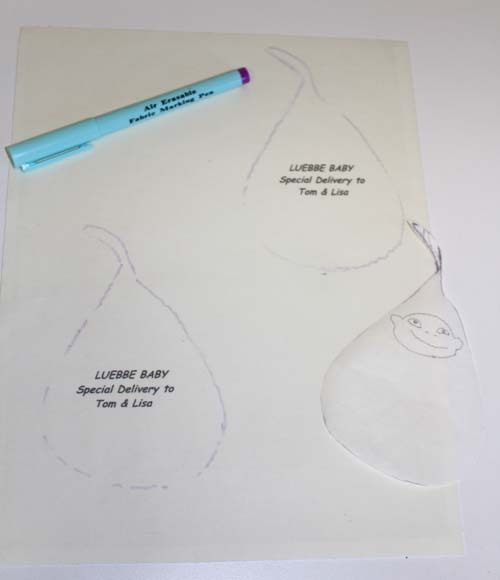 Trace the baby bundle on paper-backed double-sided adhesive. 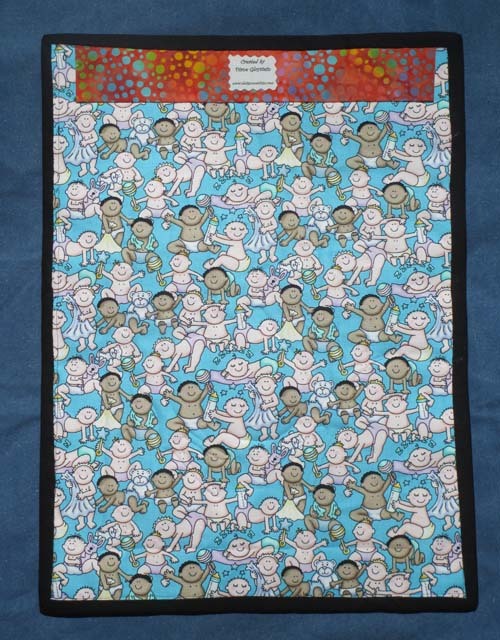 Fuse to the wrong side of the baby bundle fabric. Step 3) Make the legs. Trace the legs on paper-backed double-sided adhesive. Fuse to the wrong side of the leg fabric. 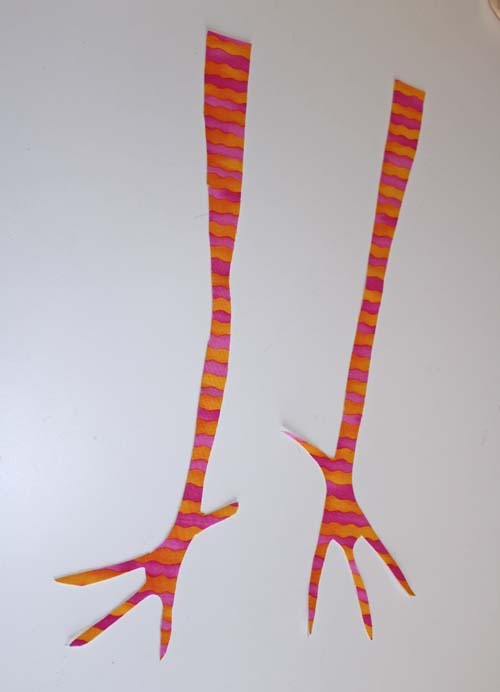 Cut out the legs and peel away the paper backing. Step 4) Applique the pieces to the background fabric. Arrange the applique pieces as desired, using the photos for guidance. When all pieces are positioned as desired, fuse them in place. Sulky Tear-Easy stabilizer to the wrong side of the background fabric. Applique the individual applique pieces to the background fabric using decorative stitches. 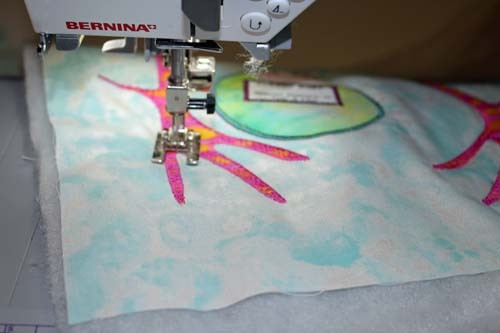 When applique is complete, gently tear away the stabilizer. Step 5) Add dimension to the stork head and baby bundle. Place polyester batting beneath the background fabric. 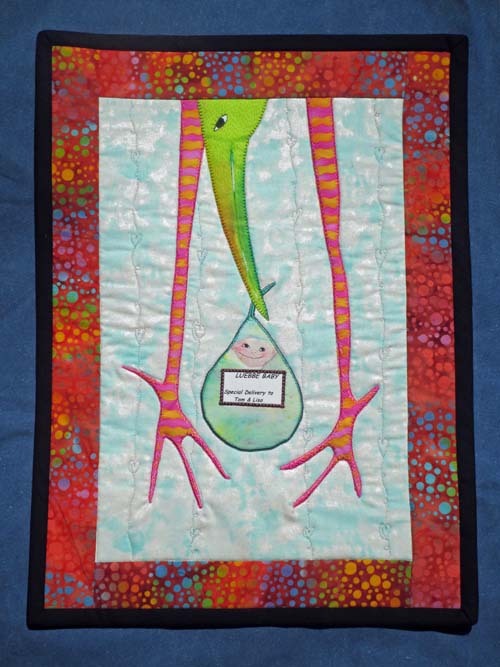 Straight stitch around the stork head and baby bundle. 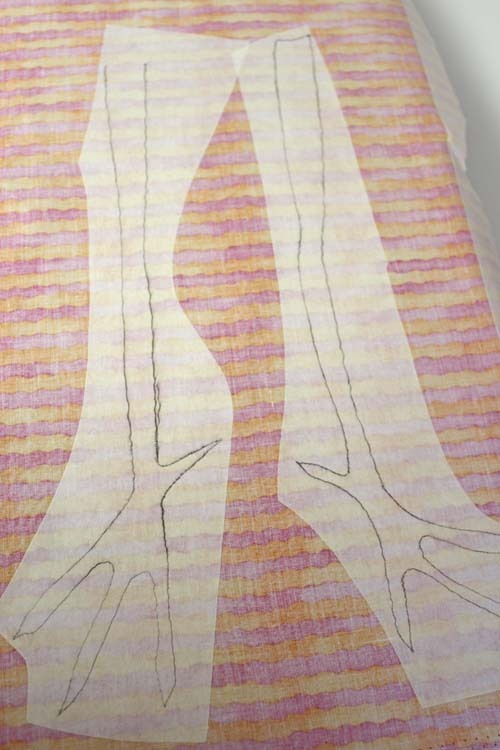 Cut around the exterior outline of the stork head and baby bundle, removing the excess poly batting. The poly batting remains on the interior of the stork head and baby bundle to add dimension. Step 6) Assemble the wall hanging. Cut 2-1/2″-wide strips of backing fabric for borders. Add borders to all sides of the wall hanging. Free-motion quilt vertical lines of hearts and swirls across the wall hanging, or quilt using your preferred technique. Cut 2″-wide strips for the binding. 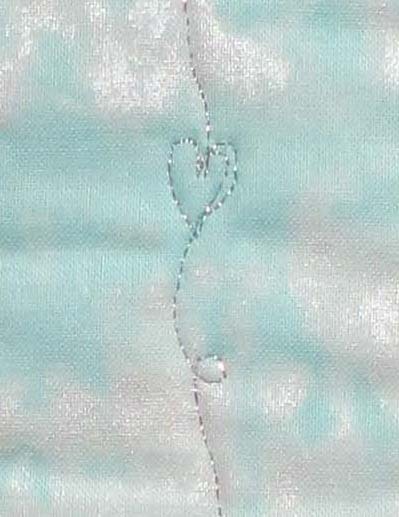 Stitch together on the bias, to make one continuous piece. 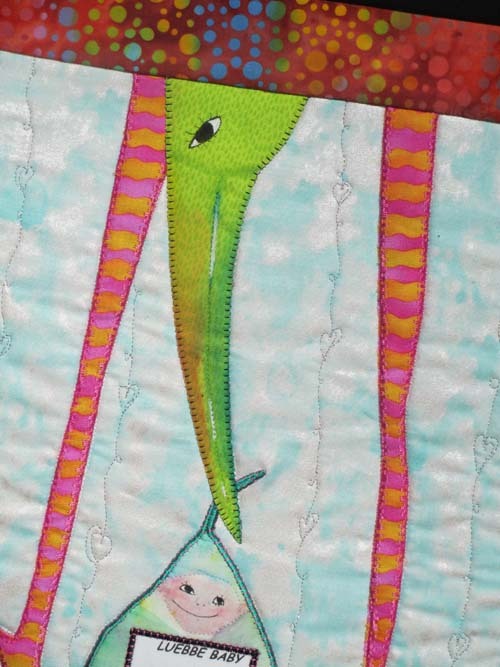 Bind the quilt using your favorite technique. Add a label and sleeve to the back as desired.